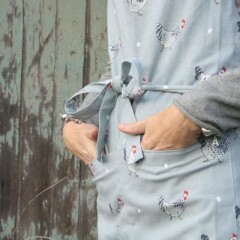 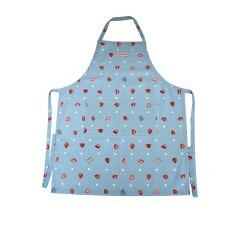 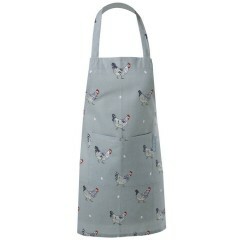 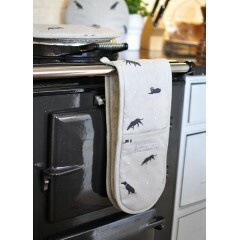 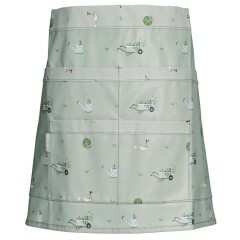 When aprons are this cute why even risk getting your clothes dirty as you get busy in the kitchen? 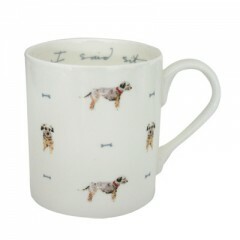 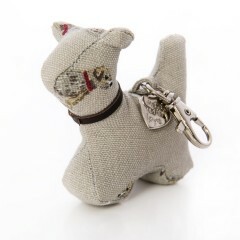 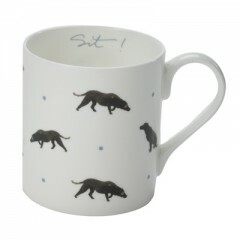 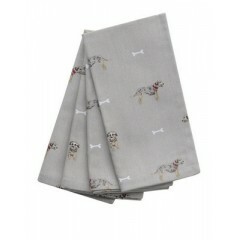 This design is strewn with a charming mix of terriers and tasty bones. 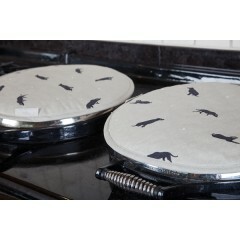 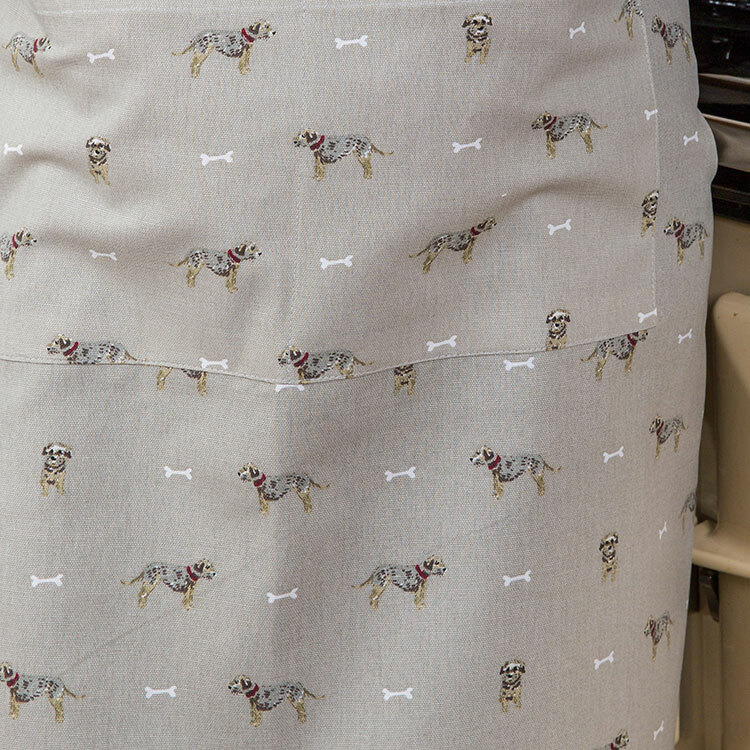 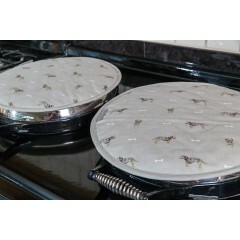 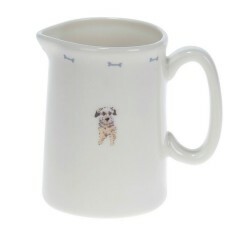 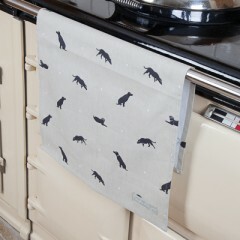 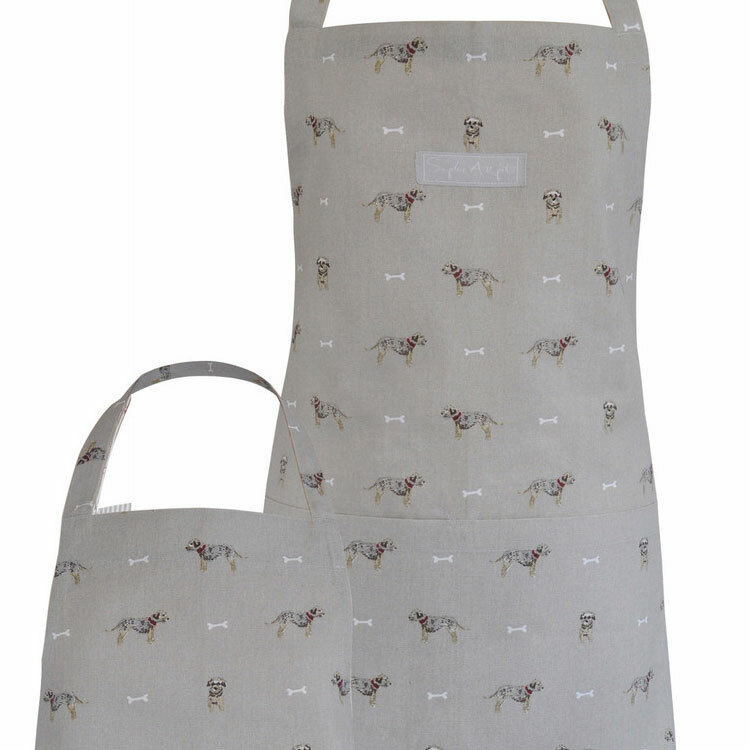 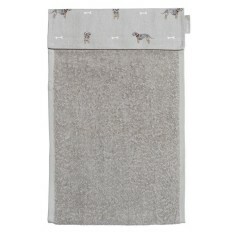 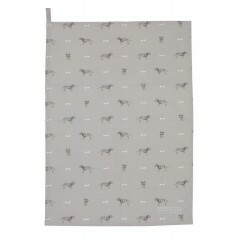 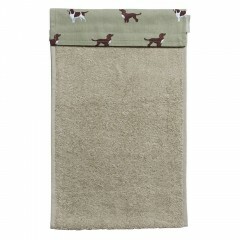 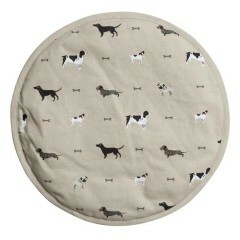 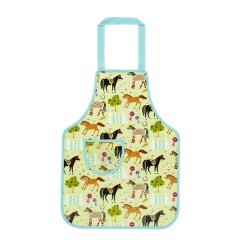 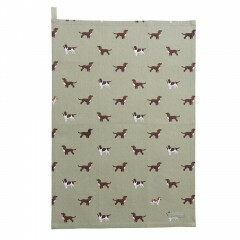 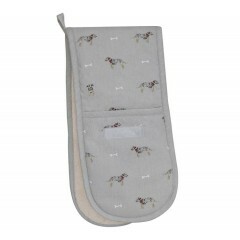 Facing left, right and front, the terriers have a great mix of expressions that really make this apron stand out. 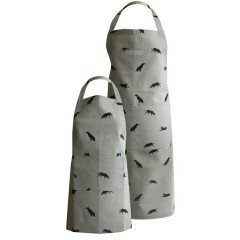 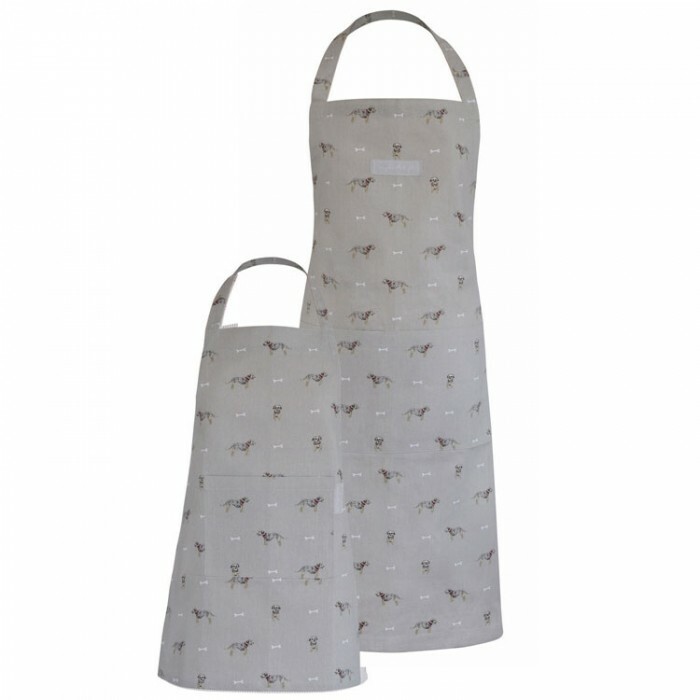 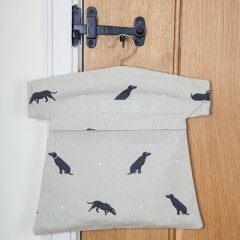 In a warm grey fabric, the practical 100% cotton apron is cut to flatter the wearer and will cope well in the washing machine as well as with the normal rigours of kitchen life. 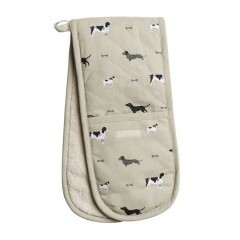 There's a useful pocket section at the front, just right for holding all those bits and pieces you need as you recreate your Bake Off masterpiece.